Courtesy of Anthony Alkleiski This is the Eiffel Tower. It is 985 feet. It is about 160 tall men high! Now that is tall! It was built a century ago. A century is one hundred years. It was almost torn down. 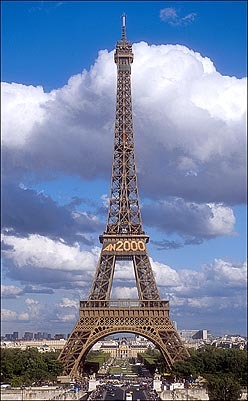 That would have been a shame since many people think it is the most popular landmark in the world.